A rash of carbon fork steerer breakages has some concerned. A small but concentrated group of mid-Atlantic road racers have recently broken the carbon steerers on their 2010 Trek Madone 6-Series bikes. While the regional nature of the reports is probably a coincidence, there does appear to be a pattern indicating that incorrect stem installation — and even stem choice — could lead to catastrophic failure. And at least one racer whose fork broke mid-race is convinced that the 6-Series Madone steerers are prone to breakage even when all of Trek’s instructions are followed. Trek says installation and compatibility problems are at fault and notes that the same concerns apply to carbon steerers from other manufacturers. The company is working with the Consumer Product Safety Commission on a consumer alert, and has made a running change to add material to 6-Series Madone steerers. In recent years, the CPSC has announced recalls of carbon road or ‘cross forks from Giant, Salsa, Felt, Novara, Raleigh, Redline, Cervelo and Reynolds, although it’s not clear if any of these recalls involved steerers breaking at or below the stem, as with the recent 6-Series Madone failures. All owners of forks with carbon steerers should pay attention to the concerns raised and installation instructions when installing or buying aftermarket stems. Saturday, May 15, began like any other race weekend for Washington, D.C.,-area Category 2 road racer Bryan Vaughan. He suited up and spun to the start line of the Poolesville Road Race on his 2010 6-Series Madone. The race traverses a rolling 10-mile road circuit with a 1.5-mile stretch of gravel and dirt road. The Pro/1/2 field was slated to do seven laps. Vaughan’s bike sits on the side of the road at the Poolesville Road Race. On lap 4, shortly after entering the dirt,Vaughan pulled up on the bars to accelerate. He felt the handlebars come off in his hands and crashed hard into the gravel. Vaughan’s steerer had sheared off just below his FSA stem. The next week, one of Vaughan’s teammates stood on the pedals of his 2010 6-Series Madone to pull away from the start line of the Bike Jam Pro/1/2 criterium in Baltimore. His bar and stem suddenly separated from the bike and he crashed, although at a much slower speed than Vaughn. As with Vaughan’s, the steerer tube had sheared just below the stem. The list of broken 6-Series Madone steerers grew by one when Paul Wilson’s broke during the Wilmington (Delaware) Grand Prix on May 22. With five laps to go in the Category 3 field, Wilson was hoping to earn the last few upgrade points he needed to move up to the 2s. “There are small manholes and cracks in the road,” related Wilson. “I hit one of those and I heard a … it sounded like metal clanking together … I got out of the saddle and felt the handlebars move,” he continued. In fact, his steerer tube had cracked. Vaughan has begun a mini crusade to get to the bottom of the issue. Riders on another Trek-sponsored team told him they had experienced two steerer tube failures in just one weekend in April. Since then, Vaughan turned to Trek, the media, and the Consumer Products Safety Commission in an effort to bring the issue to light. Trek says over-tightening stem bolts, incorrectly placing spacers above and below the stem, and using incompatible stems can all cause point loading (uneven clamping force) on the steerer tube, weakening it and causing it to break. Bryan Vaughan’s FSA Plasma stem after his steerer tube broke. 1)	Always use a torque wrench, and never over-tighten stem clamp bolts. 2)	Always use spacers above and below the stem. Although less obvious than correct torque, a minimum of 5mm and a maximum of 40mm spacers under the steerer, plus a 5mm spacer above the stem are required. Riders should factor in these spacers when sizing their bike. 3)	Use only the stem brand and model that came with the bike, because not all stems will work with carbon steerers. Often the lighter the stem, the less chance it will be compatible with a carbon steerer. Weight-relieving cutouts on the stem clamp and steerer interface can create stress risers. 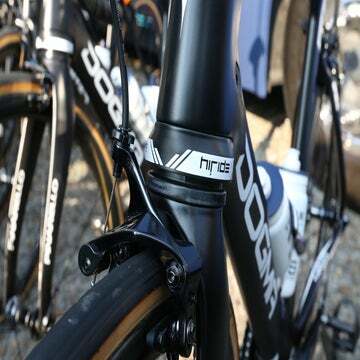 Vaughan’s FSA stem was incompatible with the steerer, Trek said. Last fall Trek warned its dealers about compatibility and installation issues, which also are covered in bike owners manuals and on the company Web site. Trek’s Ben Coates said Team RadioShack has used 6-Series Madones and Bontrager stems all season without incident. But no one at FSA was aware, until told by VeloNews on June 8, that Trek disapproved of their stems. FSA isn’t convinced they’re to blame and points to poor installation as the more likely culprit. Ralph also felt that Trek’s categorical disapproval of FSA stems wasn’t fair. “We have stems on the market that are designed very similar to Bontrager’s, with clamps that wrap fully around the steerer.” He added, “The way we see it, every stem we make is ‘carbon friendly.’ We are all riding FSA stems on bikes with carbon steerers, daily, here at the office,” he said. Ralph also pointed to FSA-sponsored ProTour teams like Liquigas riding bikes (in their case, Cannondale) with carbon steerers and FSA stems. Vaughan doesn’t think his FSA stem caused his steerer tube failure. 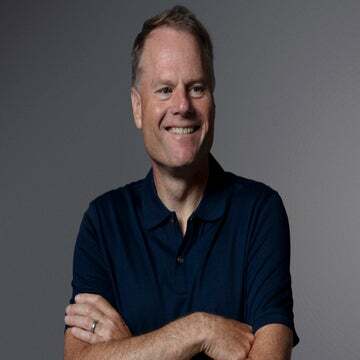 Furthermore, Ralph is concerned that to his knowledge, there’s no remedy in place for riders using an FSA stem that might walk into a bike shop only to be told that Trek doesn’t approve its use. Regardless of the stem design, incorrect installation causes serious problems. FSA’s Tech and Warranty Manager Bryan Wielgasz weighed in on this point. “Sometimes when components don’t seem secure at a recommended torque, it may be natural instinct to tighten the bolts further; over-tightening the bolts and creating a stress point between the steerer and the edges of t he pinch bolt area of the stem,” he said. Wielgasz pointed out that FSA stem bolts are marked with a maximum torque value for the bolt, but that doesn’t necessarily mean the part needs to be tightened all the way to that torque – it’s a max torque value for the bolt in the stem, but it doesn’t necessarily apply the steerer being clamped inside. “A trained mechanic should only apply the amount of torque needed to secure the part. Rarely should maximum torque need to be applied,” he said. A week after Vaughan’s steerer tube broke, his teammate experienced a similar failure. Wielgasz also suggested that if tightening the stem clamp bolts to recommended torque still fails to adequately secure the stem on the steerer, a mechanic should check the stem inner diameter and compare it with the steerer tube outer diameter to see if one or the other part is out of tolerance. Ralph commented that correct installation by a trained mechanic is harder to ensure when parts are delivered not through a bike shop, but direct to customers via mail order, sponsorships, or eBay. He added that almost every carbon component interface is significantly improved with carbon fiber friction paste or assembly gel, because it corrects irregularities in the interface between mating surfaces, dramatically reducing the torque required to secure a carbon part. Citing an example, Wielgasz pointed to tests demonstrating that using carbon paste can reduce the necessary torque to secure seatposts in frames by half. He said it would be safe to assume a similar (though not identical) reduction in the torque needed to secure a stem on a steerer, making for a healthier steerer tube and safer riding situation. “All our carbon seatposts come with friction paste,” he said. Paul Wilson was not using an FSA or an Easton stem, and never did. When his 6-Series Madone steerer broke, he says he was using a stock Bontrager Race X Lite aluminum stem, tightened to spec with correct spacers above and below. “Everything was stock Bontrager,” said Wilson. He knows because an experienced Trek dealer assembled his bike, which was delivered complete from Trek. “We used everything stock and everything to the letter,” he said. Trek says that interior cutouts on stems can cause point loading and damage carbon steerer tubes. This is a Bontrager Race X Lite stem. Wilson’s fork has been returned to Trek and is in process for replacement under warranty. Dean Gore said that Trek first heard from Bryan Vaughan on May 16th. The company takes failure reports extremely seriously. “The first step is to get the product back to Trek Waterloo for proper evaluation,” he said. “With over 30 carbon engineers on staff in Wisconsin, issues like this can be approached with a great understanding of how carbon structures behave. A full evaluation in this case included replicating the problem in our Waterloo test lab — a procedure which has given us high confidence that we fully understand this steerer issue,” said Gore. The reported failures, however, wouldn’t represent the first time a bike product survived lab testing but failed in the field. Cervelo, for example, recalled a True Temper-made carbon fork in 2008 after discovering failures in the field despite the fork having passed U.S. and international testing. Trek has issued four increasingly specific dealer bulletins about carbon steerers, starting in August 2009. Recently the company has talked with the CPSC about a consumer notification. Furthermore, Trek is now adding material to 6-Series Madone steerer tubes. “Even though the current steerer passes all of our of standards for durability, we are adding carbon plies to the layup of this carbon steerer to reduce the probability of future issues,” he said. Nevertheless, Trek is not about to rescind the original installation guidelines. “We want to be clear that even though we are adding material to the steerer, consumers must still use the right stem, the right spacers and the right torque. High-end carbon fiber structures will always require proper installation and care,” said Gore. Are cracks in communication leading to cracks in carbon? Trek feels that the dealer bulletin is adequate for educating retailers, and by extension, owners of Treks. But eight of the ten Trek dealers contacted by VeloNews weren’t aware of the service bulletin. Matt McGoey at All American Bicycle Center received the most recent bulletin by email just a few days before Wilson’s steerer tube failed. “I emailed most of my customers that have Madone bikes,” he said. Jake Nie, service manager at University Bikes in Boulder, Colorado, was also aware of the bulletin. His shop has regular morning staff meetings to distribute information to all mechanics and staff. “So when a mechanic does see a 6-Series, they’re going to pull it aside and check that it’s OK,” he said. One service manager was able to find it on Trek’s dealer site after searching for five minutes. “I firmly believe that Trek has been more proactive than any other manufacturer,” responded Gore. He shared four bulletins regarding carbon steerers sent to dealers in the last year, starting in August of 2009. The bulletins become increasingly specific about acceptable stem-design characteristics, spacer placement, and stem clamp bolt torque. Explicit installation instructions are not unique to Trek. Easton and 3T forks both come with instructions specifying minimum and maximum placement of spacers above and below the stem. Specialized also has specific instructions, like Trek recommending against the use of stems with large cutouts. Easton composites engineer Chuck Teixeira said he’s seen fork steerer tube damage spread down from the very top of the steerer due to lack of stem overlap at the top. He recommends a spacer above the stem. If the stem pinches the top of the steerer, it can crush the carbon and cracks can form and propagate down the steerer. Teixeira said in ten years he’s never seen a steerer break below the stem and noted that most lab tests on forks evaluate durability in the legs, not the steerer. Teixeira is a proponent of carbon steerer tubes because of the complexity of bonding dissimilar materials. He feels that a one-piece carbon fork will usually be stronger than a two-piece aluminum/carbon fork. Not satisfied that enough was being done, Vaughan filed a report with the CPSC on May 25. “All Trek would tell me is were going to send out a dealer notice. I don’t think dealers know about those things, I don’t think they’ll read them,” said Vaughn. “I think you can debate a lot of the other technical things about carbon and ‘Did Brian overtighten his bolts,’ and all that – fair enough. But once you dig through that, I think there’s really no debate that you get to the point where there are identifiable failures with different stem combinations and different install situations that were borderline catastrophic or catastrophic. Once you know that, what do you do about it? That’s the question,” he said. Vaughan is convinced that the huge interior cutout on his Easton EC90 stem is what really triggered his steerer tube failure. As a result of his steerer tube failure, Vaughan crashed. Fortunately he avoided serious injury.